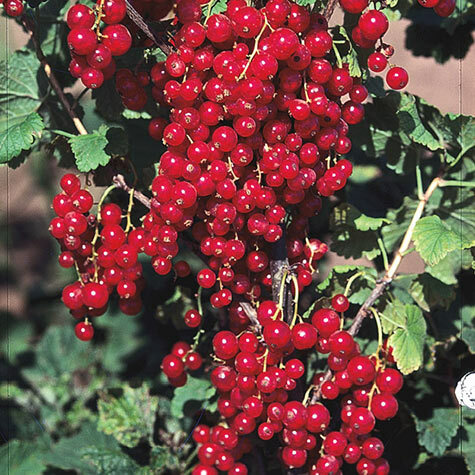 Red Lake Currant | Gurney's Seed & Nursery Co. The cold hardiest of quality, plum-red currants. Often bears full-flavored fruit the first year after planting, on two-year-old wood. Reliably large yields. Self-pollinating. Spread: 2 - 4 feet. Yield: Up to 3 - 4 quarts at maturity. Fruit: Compact clusters 4 inches long with 8 to 10 large, 1/2 inch, dark red berries. 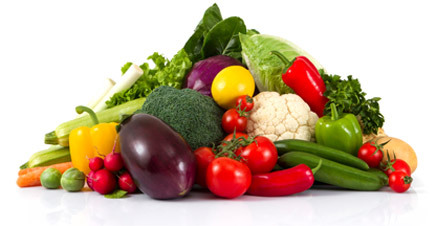 Soil Requirements: Well-drained, rich, moist soil. Pruning: Remove dead wood. 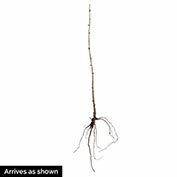 Prune to rejuvenate new growth in early Spring. Comments: Dark red fruit with sweet-tart flavor. Long stems for easy picking. Strong, vigorous bush with dense foliage. Early bearing. Produces fruit on two year and older wood. Long ripening period; holds well on branches. 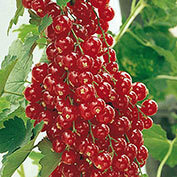 Most widely grown red currant.